Scotsman Ice systems introduced a crystal-clear, mineral-free, and slow-melting ice cube in 1950, which changed ice machines and beverages forever. And Scotsman has been on the cutting edge of ice machine innovation ever since. Scotsman not only offers one of the broadest ranges of ice machine lines in cube, flake, superflake, scale, nugget, and gourmet ice types, with quantities that range from one cube at a time to 10 tons of ice a day, but also some of the most energy efficient, with over 35 machines carrying the EPA ENERGY STAR® qualification. Scotsman is committed to standing behind the products they sell offering a 3-year parts and labor warranty and a 5-year compressor warranty on most ice machines. The Prodigy Series of Scotsman ice machines feature a wealth of innovative technological equipment that make them simply the advanced ice machines on the market. Much more than just novelty features, the Prodigy innovations below are also purposeful and practical, making each Scotsman ice machine operate more reliably, use less energy and make clean, fresh ice every time. Using Scotsman’s AutoAlert™ system, the Prodigy can automatically alert staff to a variety of the most common ice machine issues. Smart-Board™ This optional feature provides allows you to control and monitor all of the advanced features of your Prodigy ice machine even from a remote location. Additionally, with the Smart-Board™ installed, every Prodigy ice machine meets NAFEM data protocol capabilities necessary for use in smart kitchens. 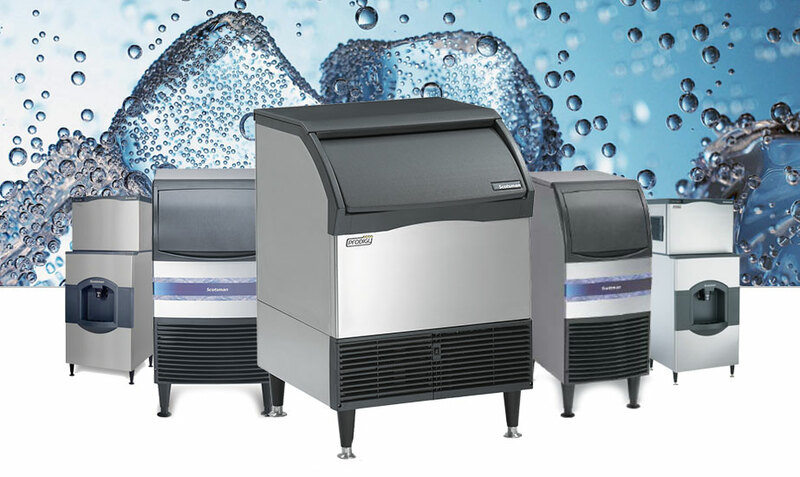 Scotsman ice machines now meet or exceed the current ENERGY STAR efficiency requirements. They are also rated for the Consortium Energy Efficiency (CEE) Tier 2-rated performance criteria. Scotsman now has more CEE Tier 2-certified machines then any other ice machine manufacturer in the industry. Their commitment to the environment is unmatched and provides you with the opportunity to significantly reduce your utility costs. Utilizing the advanced technology developed for their Prodigy series, Scotsman is able to offer the largest selection of green options in the ice machine industry. All Scotsman ice machines meet NSF standards for food safety. All Scotsman ice machines meet UL's safety requirements. This C-UL-US Mark indicates compliance with both Canadian and U.S. requirements. All Scotsman Ice Machines ship for free from www.GatorChef.com, with most items shipping the same day! Only valid in the U.S. (excludes Alaska, Hawaii, and all offshore US territories - US Virgin Islands, Puerto Rico, etc.). Better Filtration for Clear, Pure Ice. Assisting in the ice machine sanitation battle, the Scotsman Ice Systems AquaDefense® sanitation system is a common-sense multi-method approach to defending your ice machine against undesirable microbes, bacteria, mold, and algae. 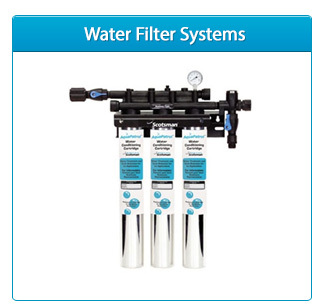 The AquaDefense sanitation system features advanced defensive means. How to Make the Perfect Choice in Ice Machines?